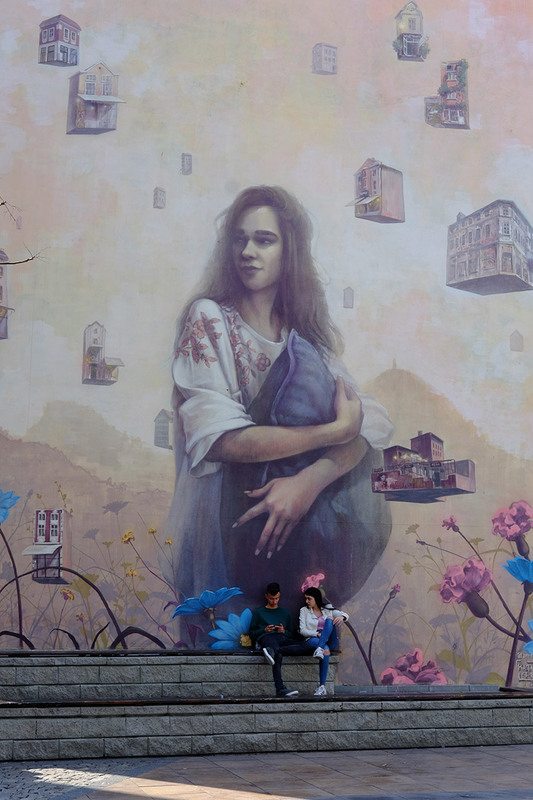 Charming old houses make for an incredible backdrop for your vacation pictures – but if you like more unconventional selfies or just enjoy street art, you need to consider exploring Plovdiv’s most beautiful spray paint works! 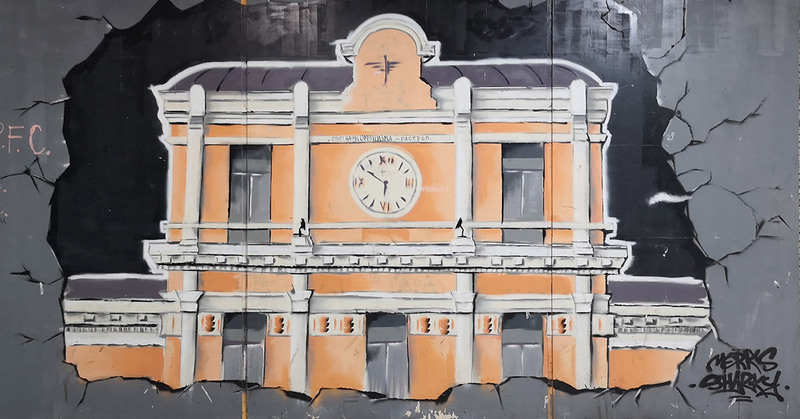 There are many locations where you can find fascinating murals and traditional graffiti so we thought we’d lend you a helping hand and walk you through the best street art locations in the centre of Plovdiv. 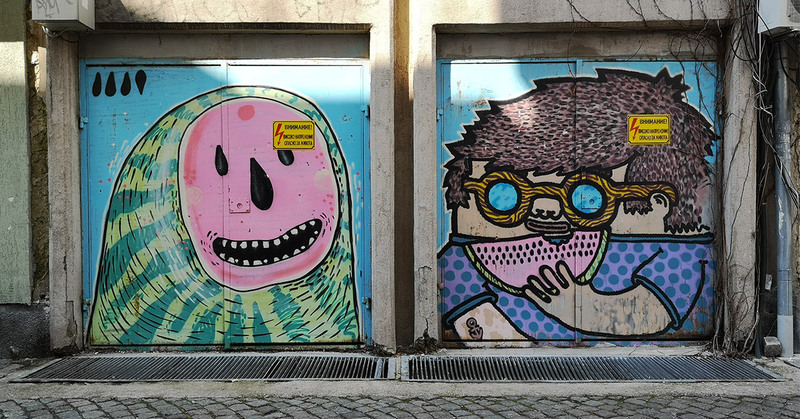 Our guide will be Stern – one of the best artists in the city whose works will leave a deep impression in every street art lover’s heart! 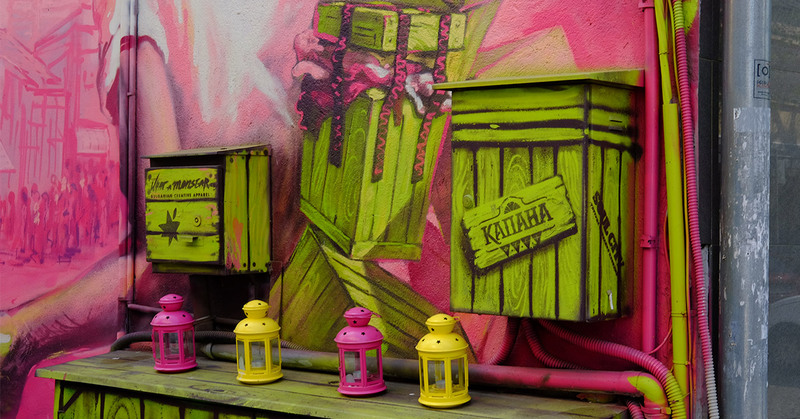 Let’s begin with Kapana, Plovdiv’s art district, where murals come to life in all forms and sizes. From garage doors to whole facades! You can find two of the biggest works at the “Yadroto” stage (The Core). One of the challenges of creating these masterpieces was that they were done amidst the hustle and bustle of Kapana Fest, the busiest time of the year in the district. Walking along the small streets you’ll see the works of our guide Stern, Nasimo, Mouse and other famous Bulgarian (and international) artists. Some of them were created during the latest Kapana Fest editions, some are older, some are private assignments by building owners and restaurants, some are plain ol’ bombing. 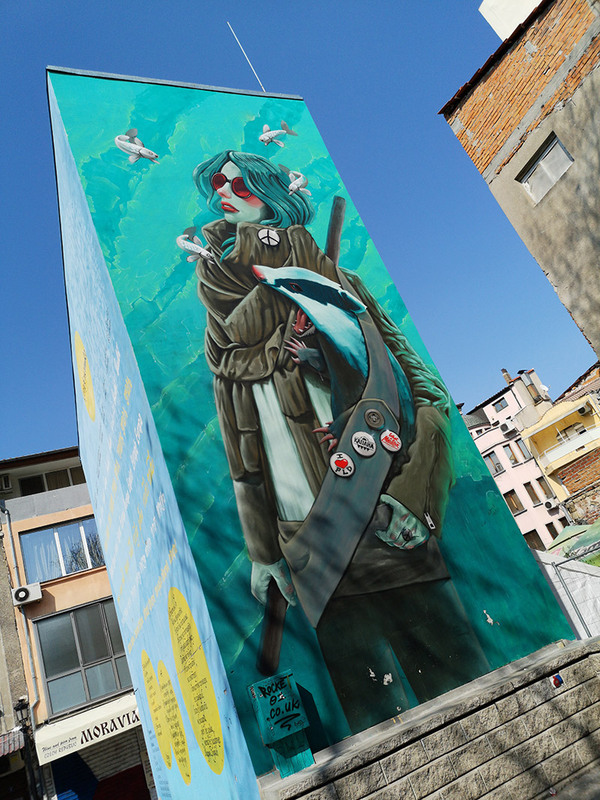 The street art culture in Plovdiv is surely gaining momentum. 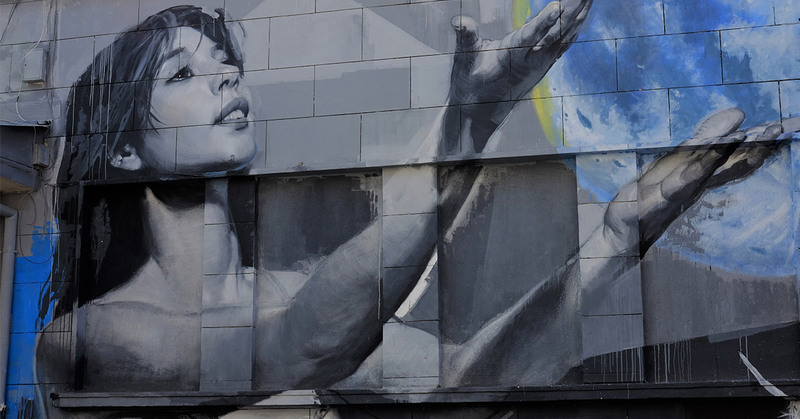 More and more people realise that a beautiful mural will set their building apart. It’s also a great way to give a unique vibe to the whole street. As Stern mentions, some artists are booked months in advance! 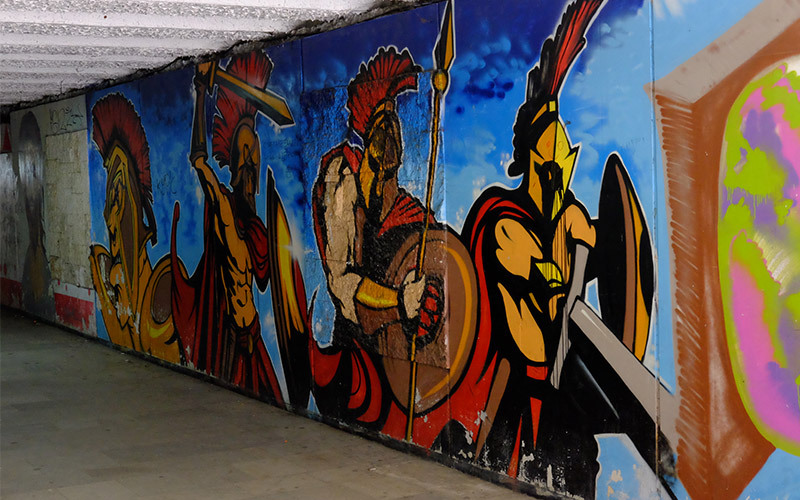 Let’s move on to a more hidden location – the underpass next to the former Turkish Baths (“Chifte” Baths). 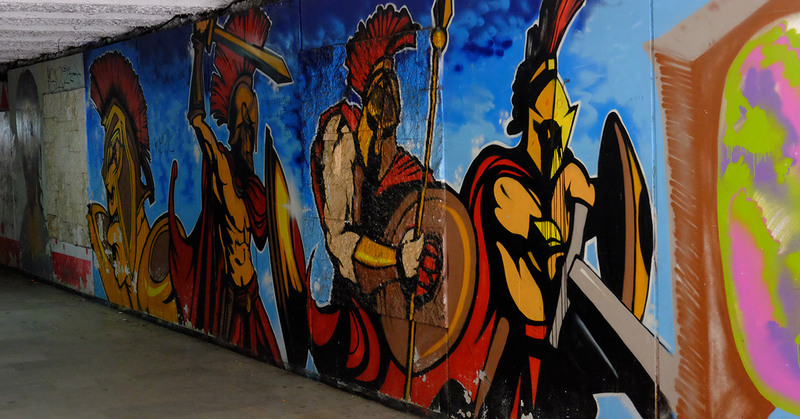 A few years ago the walls of the underpass became a blank canvas on which artists from all over the country could show their talent. 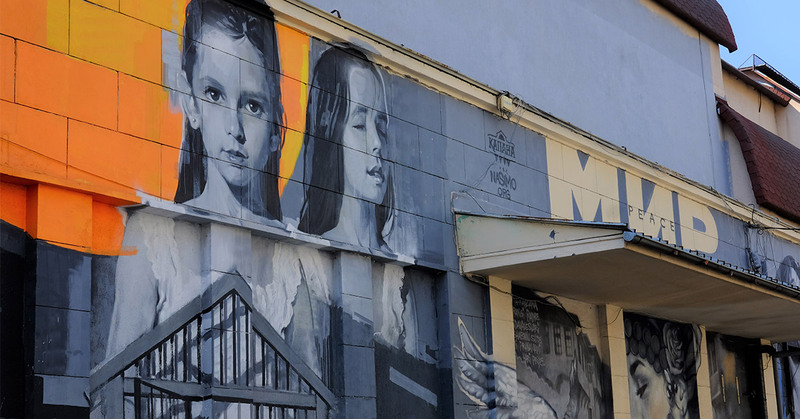 Unfortunately, some of the murals have been vandalised and some have decayed from the elements. 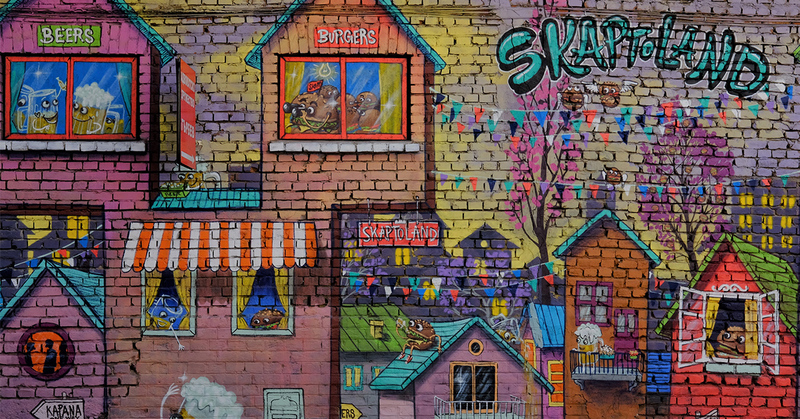 Still, the place is a living gallery of Bulgarian street art trends and styles of the time. Taking a shortcut through some really picturesque (and steep!) streets in the Old Town, Stern leads us to the National School of Stage and Film Design where he used to study. 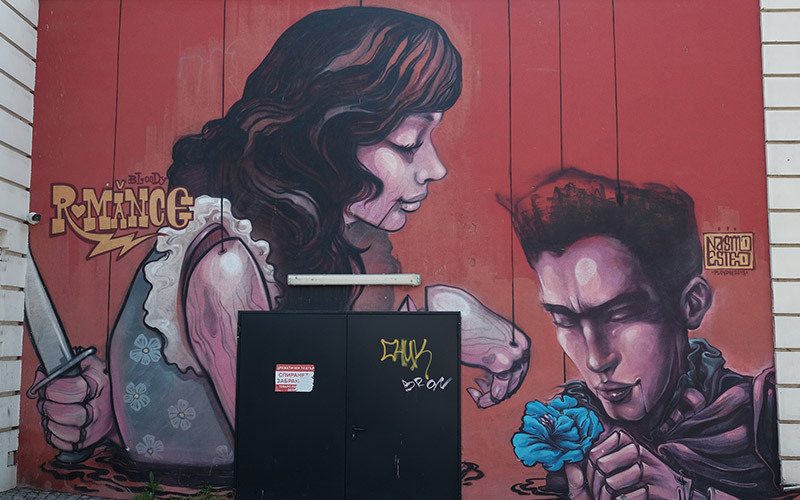 Both murals he did there are still in great condition and are an amazing selfie location! 4/ Let’s take a look behind the Drama Theatre! 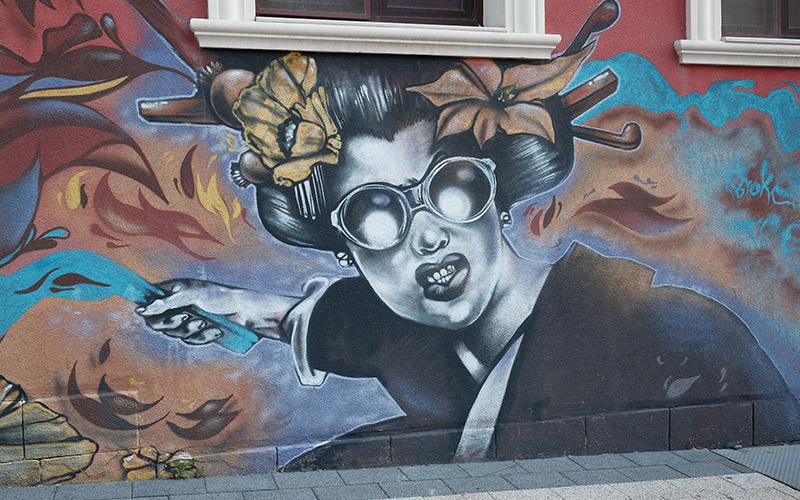 Another place where you can enjoy street art at its best is just behind the Drama Theatre. 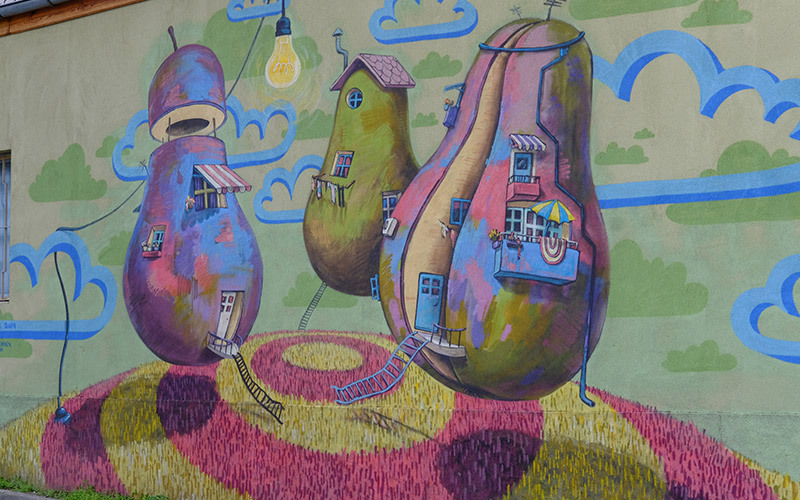 Climb the steps behind the Together Sign and turn left to enter a realm of surreal murals! The artists have translated the vibrant colours of their spray paints in fantastic allegories which will surely tickle your imagination. Let’s see what he had to tell us! 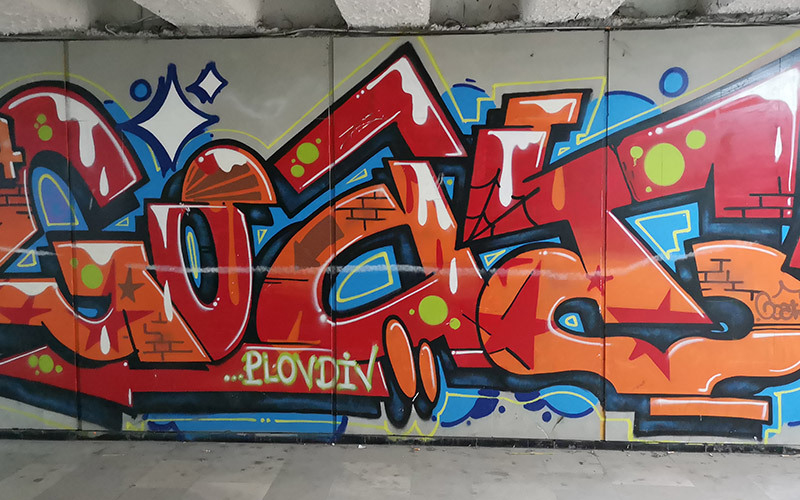 Plovdiv City Card: What makes Plovdiv different from other Bulgarian cities when it comes to graffiti? 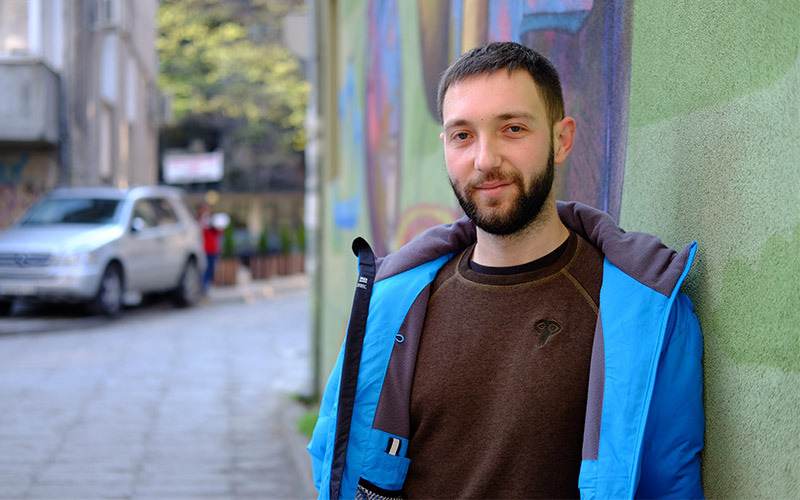 Stern: Plovdiv is just like other cities in Bulgaria, but with a higher concentration of artists from all spheres, which gives creative people a push when developing their styles. 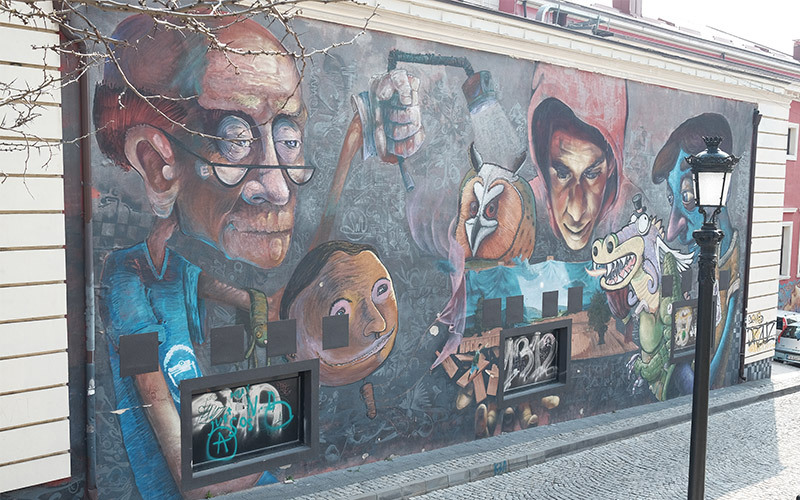 In terms of the graffiti culture, the difference is that we’re just a bunch of people, all of whom are serious about what they do – and we’re not as underestimated as we were 10 years ago. Our city is ancient and it doesn’t allow us to get creative anywhere we want, but there are lots of places far away from anything from ancient times which is just begging us to add a little colour to it. 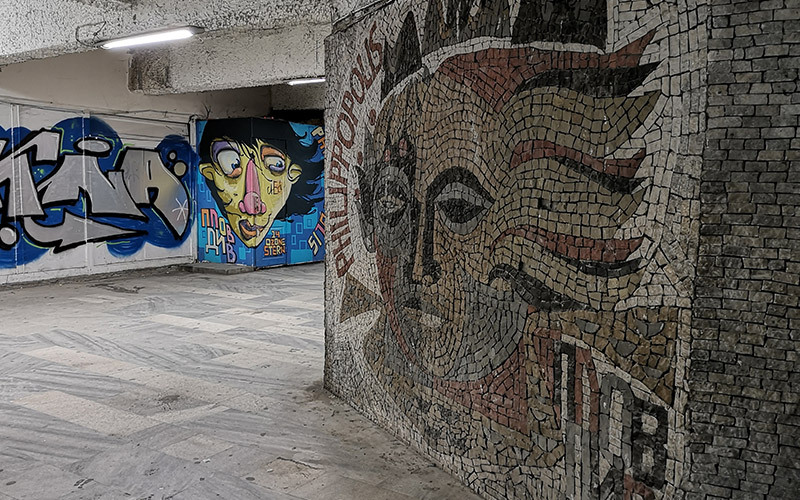 Plovdiv City Card: How long has it been since graffiti culture was born in Plovdiv? 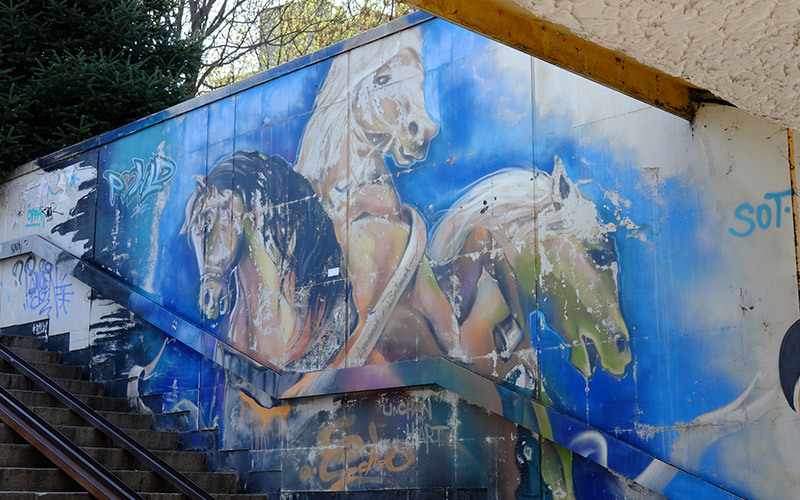 Stern: As far as I know, there have been graffiti writing in Plovdiv since 1995. Materials were rather primitive back then and people were pioneering techniques, copying foreign artists. 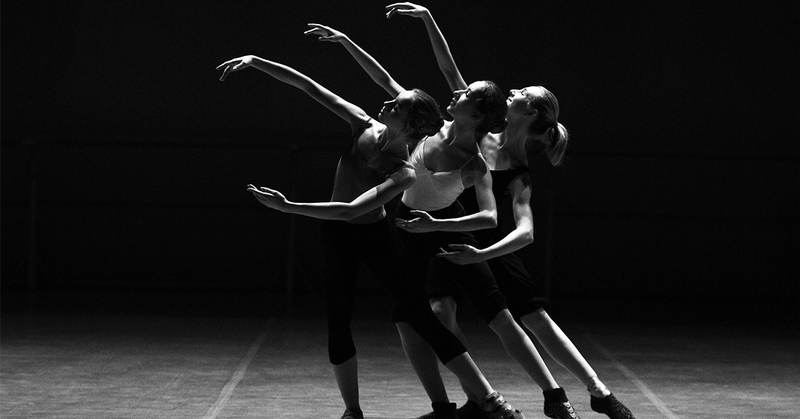 Inspiration was drawn from the classics – arrows, shadows and 3D, mainly writings. It was illegal, but the idea was to express artistic ideas. 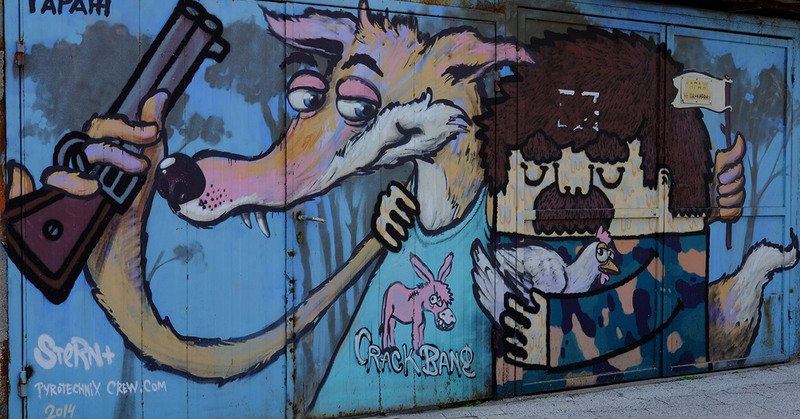 Nowadays it’s very similar but there are many graffiti artists and the level is much higher. There are many more places where you can get materials, spray paints, latex, acrylic paints. 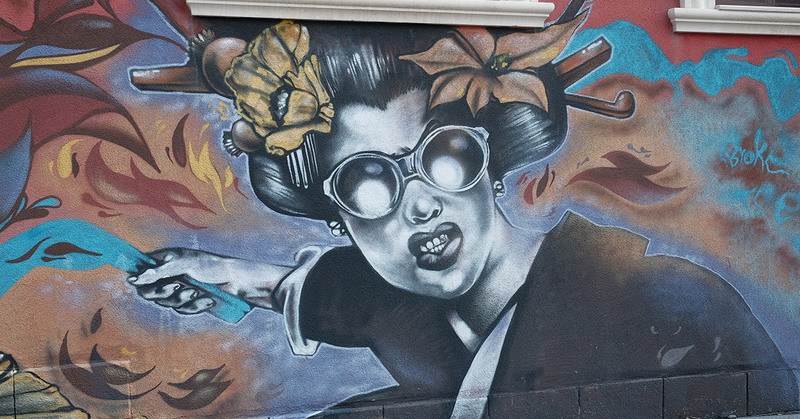 Artists think of the wall they’re painting on as a mural, not as a quick personal branding. 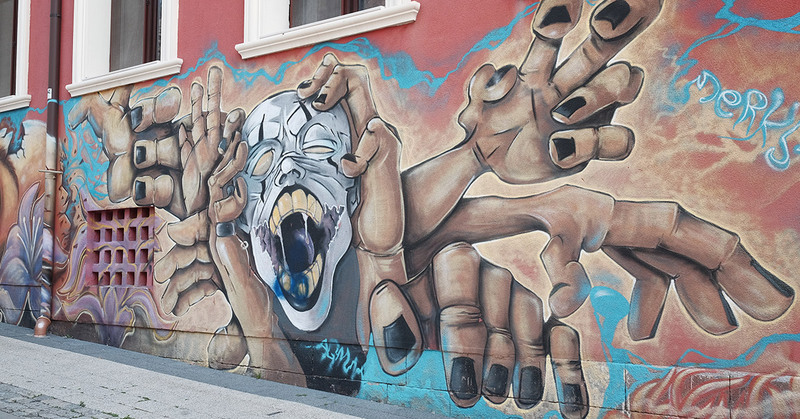 There are many places in Plovdiv which look like street art galleries. 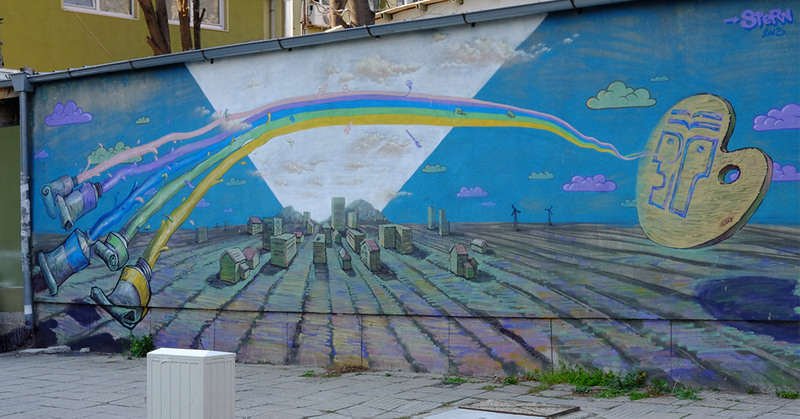 Plovdiv City Card: How did the graffiti culture evolve in Plovdiv as compared to other cities? Stern: Slowly, but steadily. 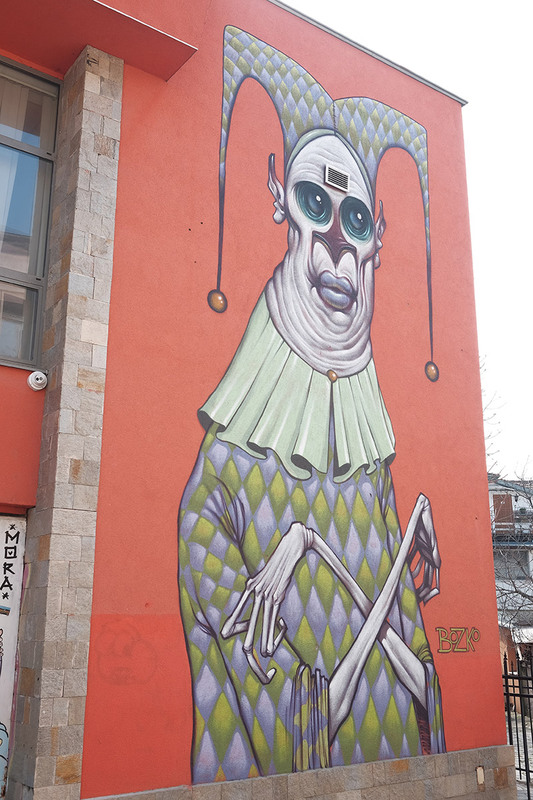 There is a full array of artists in Plovdiv, some focusing on classical stuff, some leaning towards street art, some attending festivals, some doing murals… Compared to cities around the world, we’re still weak but very colourful and we always make sure to entertain people with shades and ideas. 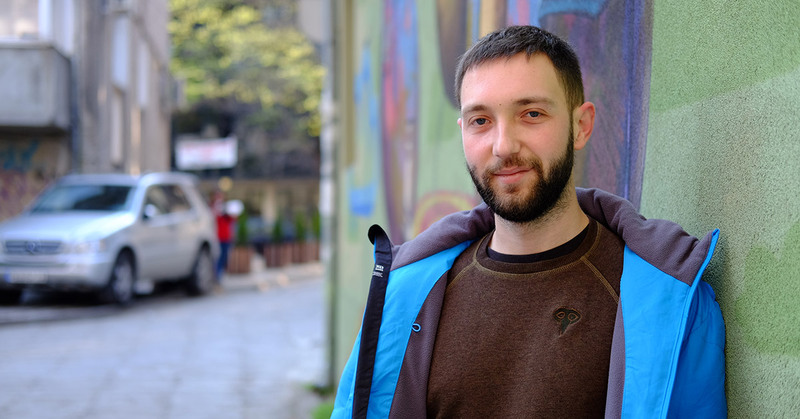 Even international artists enjoy Bulgarian styles because they’re unique. They say Bulgarians are quick and detail-oriented. 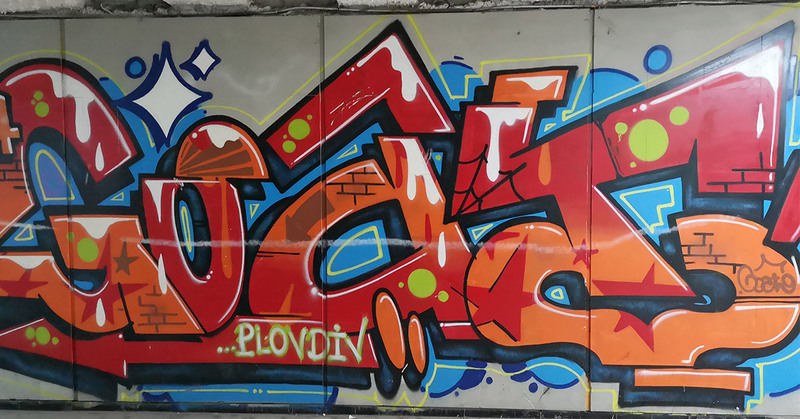 Not long ago a French event organiser published a few graffiti styles from Plovdiv and captioned them: A few artists, but of high quality! Plovdiv City Card: What happened to bombing? How does this practice go along with commissioned projects? Stern: Bombing is one of the first thrills of each writer. 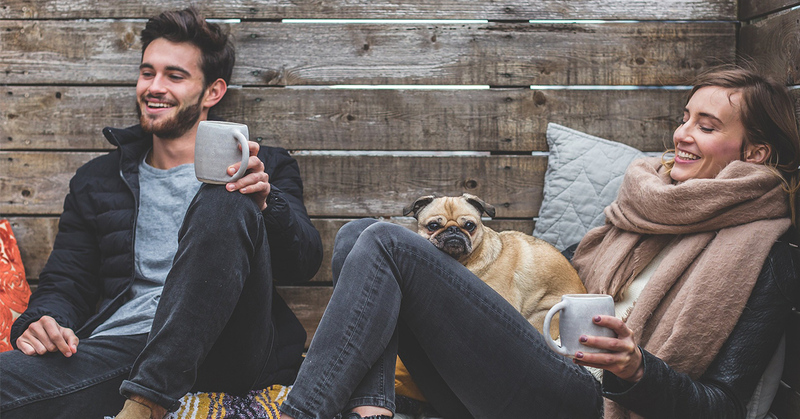 It dies hard, but as you get more and more commissioned work, you don’t really need it anymore – it’s purpose is to have your name somewhere visible, after all. 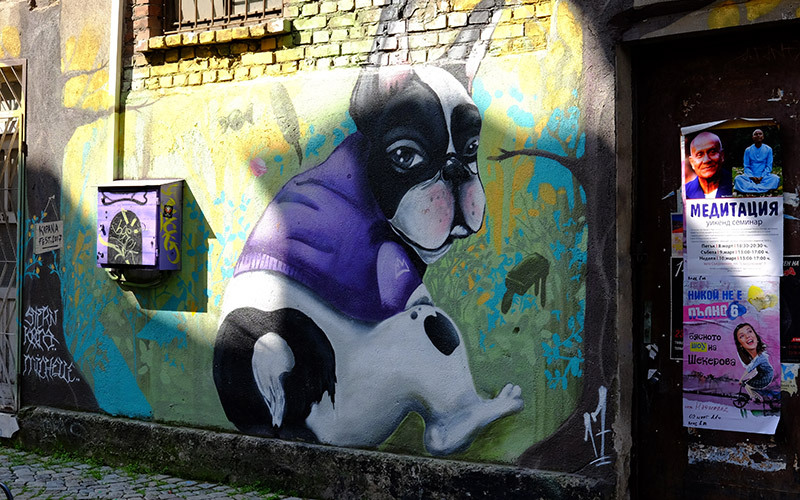 Plovdiv City Card: Which are the most popular places for graffiti and street art in Plovdiv? Stern: Currently, it’s Kapana as there are a lot of works concentrated in a small area. People take photos and look at them all the time. 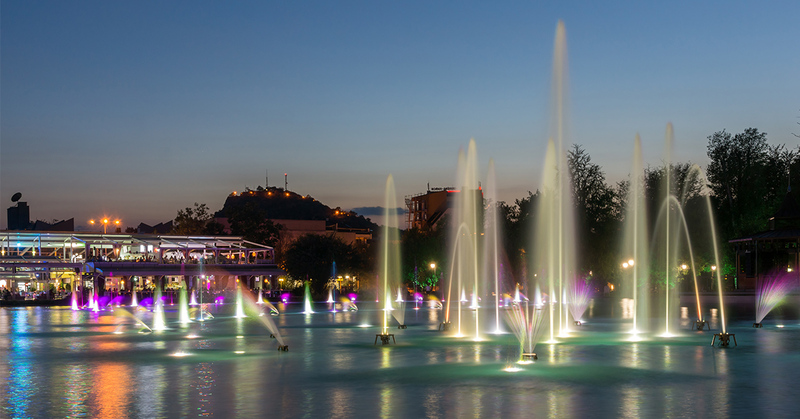 Plovdiv City Card: Which are the most famous artists from Plovdiv? 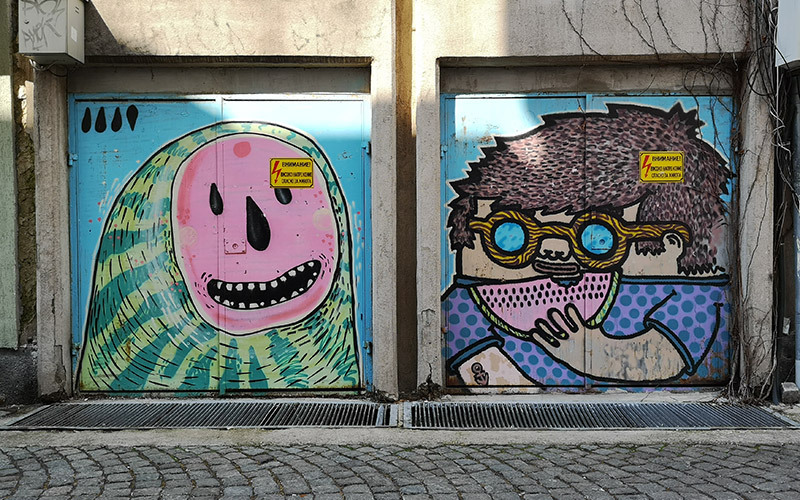 Stern: Maybe Broke, Ozone, Enjoy the colours, Bilko, Tse, Merks, Freaky, Rake, Phameux, Wicked ugs, Skizor, Samcrew – but some of them are not very active anymore. > Want to visit the places we just showed you? 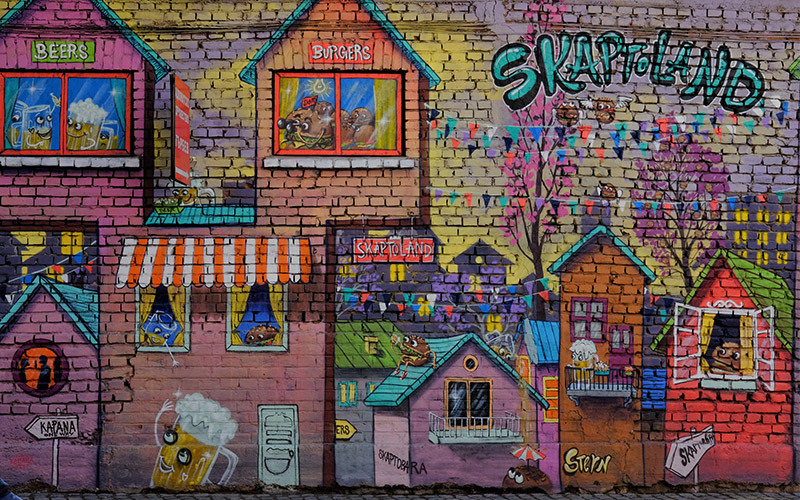 Check out this Google Map – we’ve created an alternative route and spared you the steep Old Town streets so you can have more time for taking pictures! 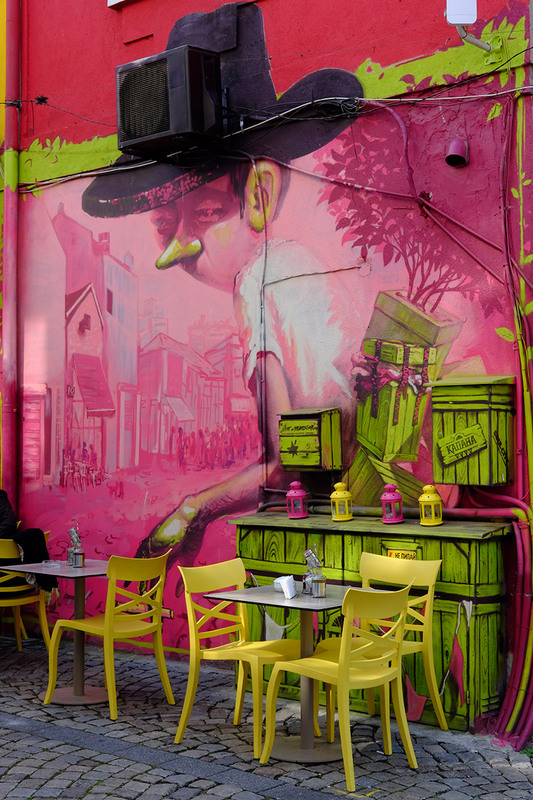 If you’re willing to explore further, you will need to leave the centre behind and dive deep into Plovdiv’s neighbourhoods. 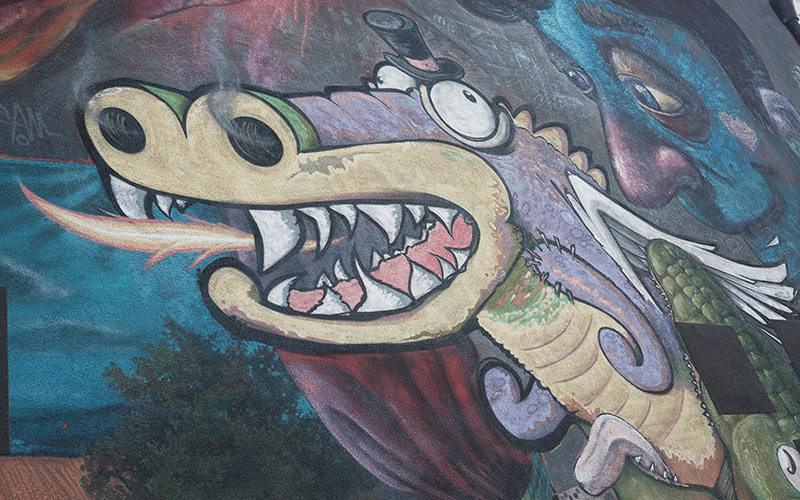 You can find graffiti and street art masterpieces in the most unconventional places if you look around. And be sure to look up, too – some artists are not afraid of heights!